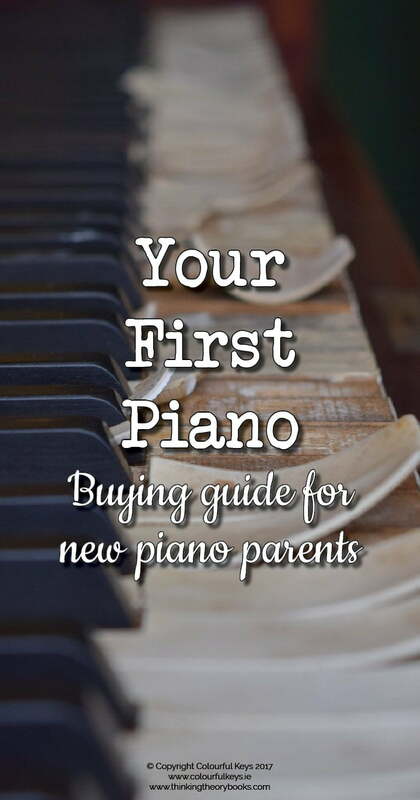 Buying your first piano or keyboard? 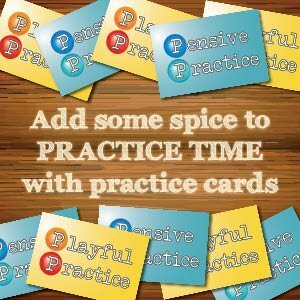 It can be a difficult choice, you don’t want something that you or your child are going to outgrow in a few months. 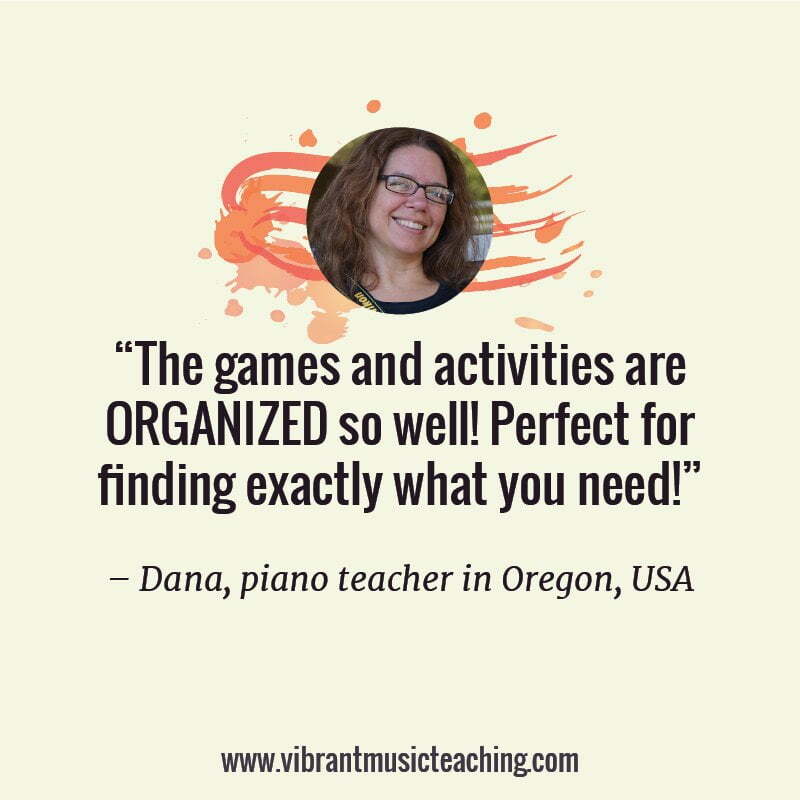 But you might not want to invest too much is the beginning if you aren’t sure how long you or your child will stick with the piano. 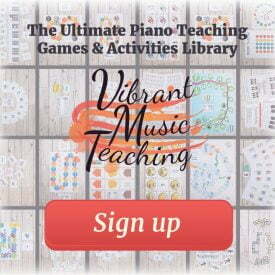 In this post I will break down the options available to show you how to choose your first piano. Hopefully clearing up some of the terminology will help you make a more informed decision. A standard, traditional piano. Most have 88 keys, although I have come across some with less. 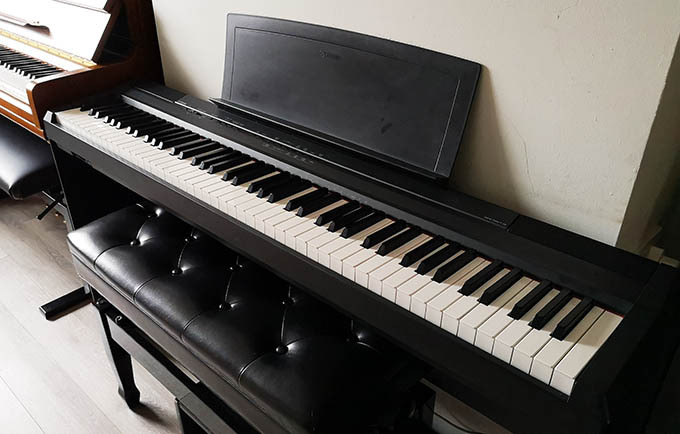 You can pick up a second-hand piano from about €150 upwards in auctions and on listing sites such as Adverts and DoneDeal. New pianos usually start at about €2000 but a well-maintained second-hand piano should be sufficient for most beginners. By unweighted we mean that the keys are light and easily depressed. 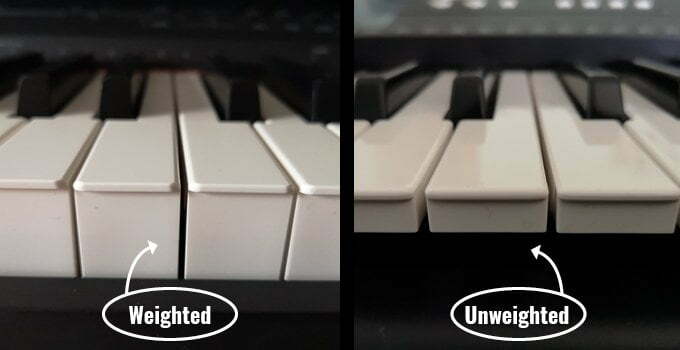 You can normally tell if a keyboard is unweighted as it will have space under the keys rather than being solid. I do not recommend an unweighted keyboard as a practice instrument. 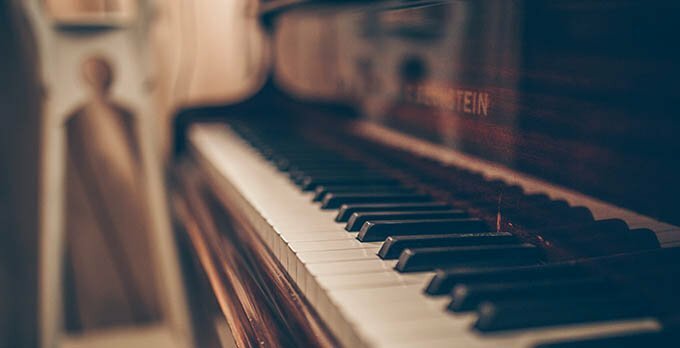 “Touch sensitive” just means that if you press a key softly it plays a quiet note, and if you press it hard it will play a loud note. 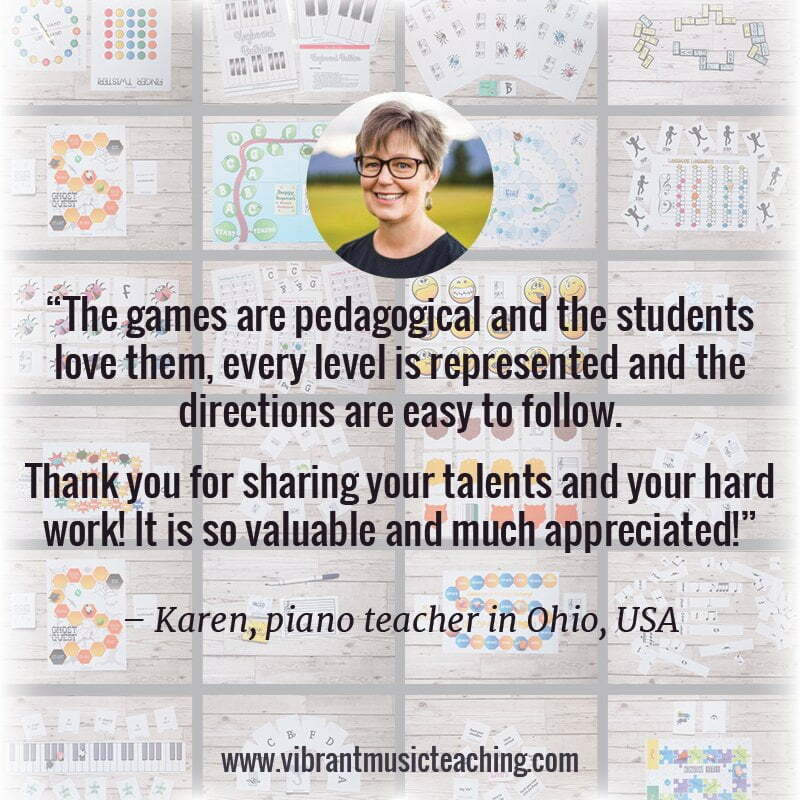 This is a step up from a toy keyboard but it will not allow students to develop the technique they need to be successful in their lessons. Second hand about €100 – €150, new about €200 – €400. The next step up, for those who want the quality of a piano (almost!) but the flexibility and movability of a keyboard. 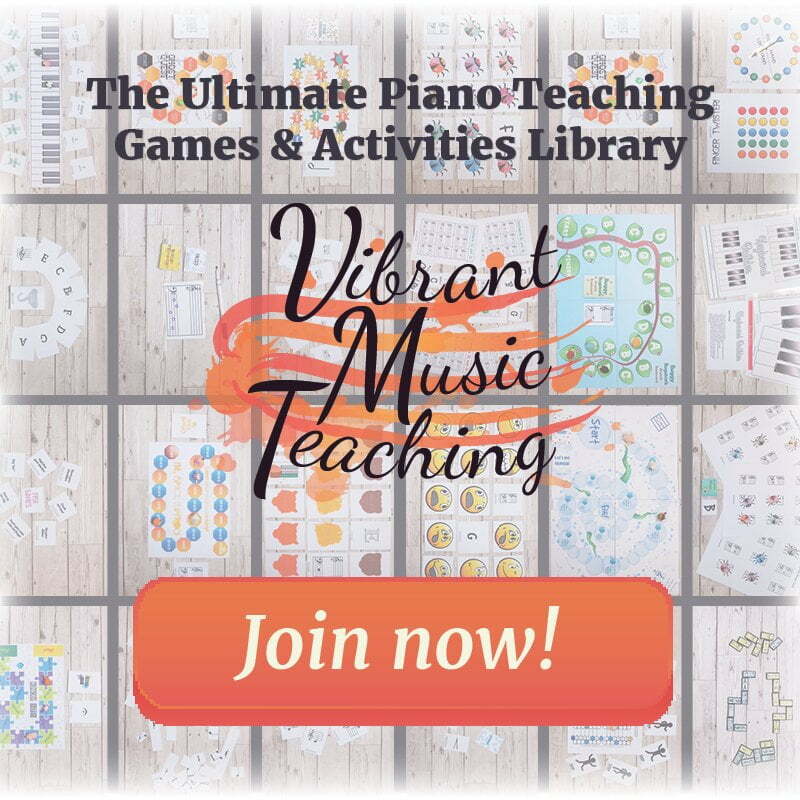 Weighted keys are designed to feel like a piano, and require as much pressure to press the key down, simulating the hammer action in a traditional piano. Second hand about €300 – €600. New fully-weighted upwards of €1500. Semi-weighted upwards of €800. The Yamaha P-series are very reliable option and you can get a pack like this which includes the stand and pedals. I actually have an older version of this model in my studio which you can see a photo of above. 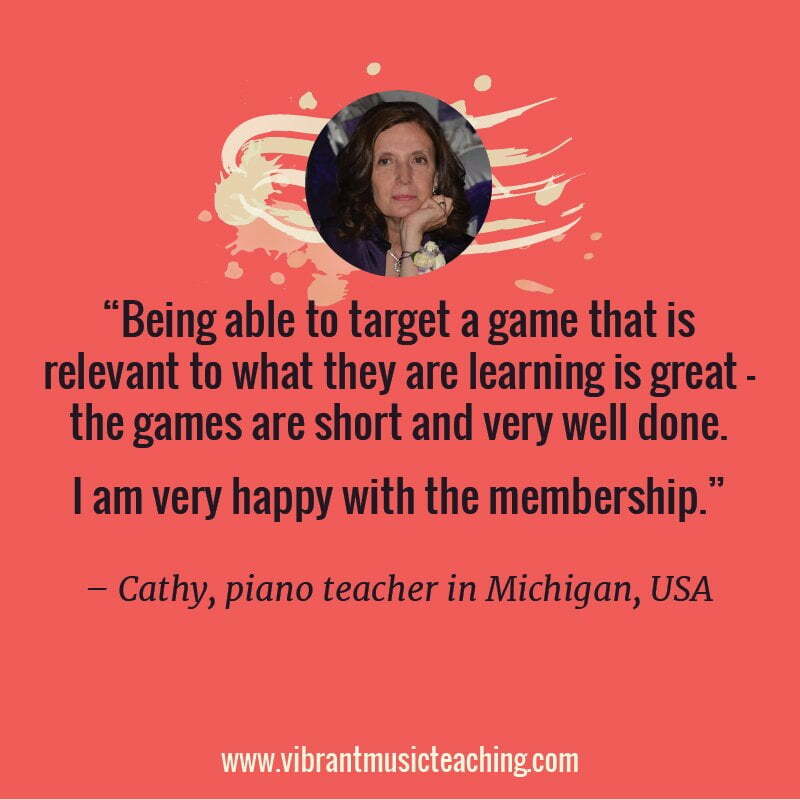 The Casio PX series are also very popular with piano teachers and students. Again, make sure you get a full stand set with pedals like this one. Just like a hybrid car, a hybrid piano is designed to be the best of both worlds. They have real hammers inside and wooden keys just like an acoustic piano but they’re electric. 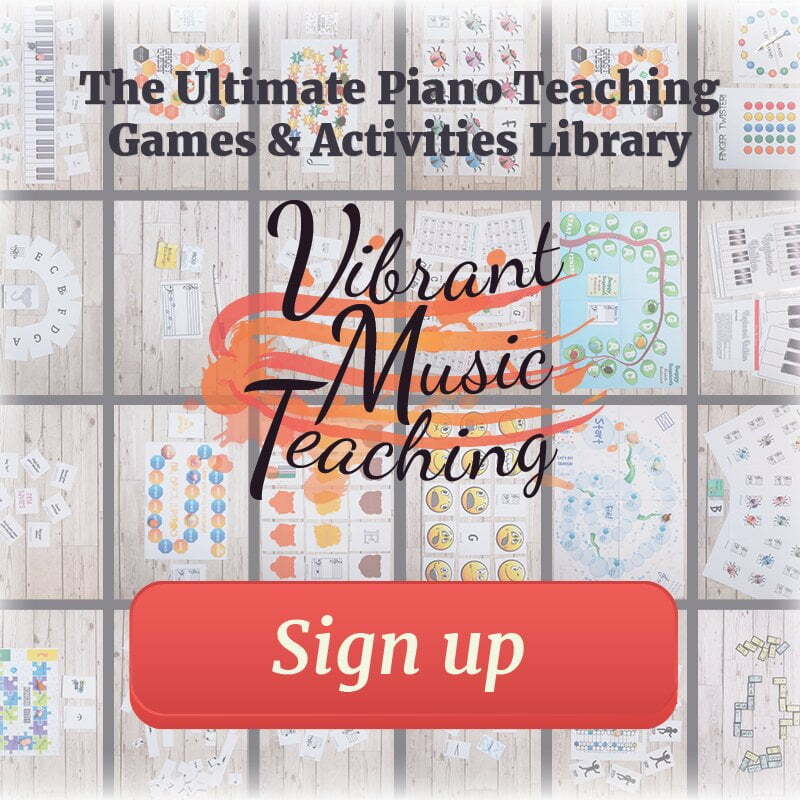 Hybrid pianos start at about €2500 for the Casio Grand Hybrid or about €5000 for the Yamaha AvantGrand, putting them out of the range of most beginner budgets. 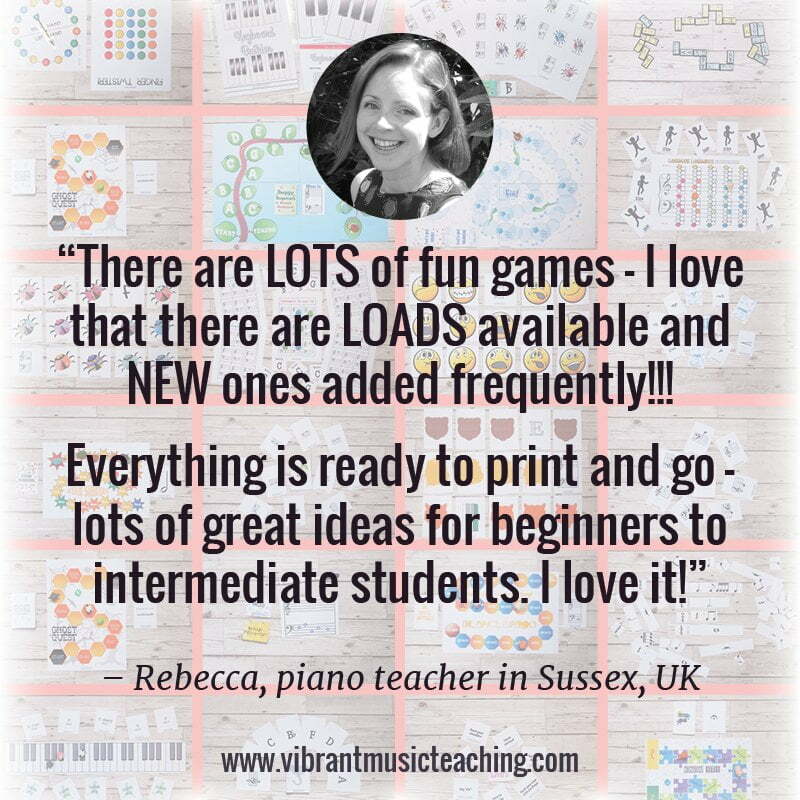 They are a great upgrade option to keep in mind if you start with a more basic keyboard and are well-worth the investment if you want to get the best long-term solution straight away. 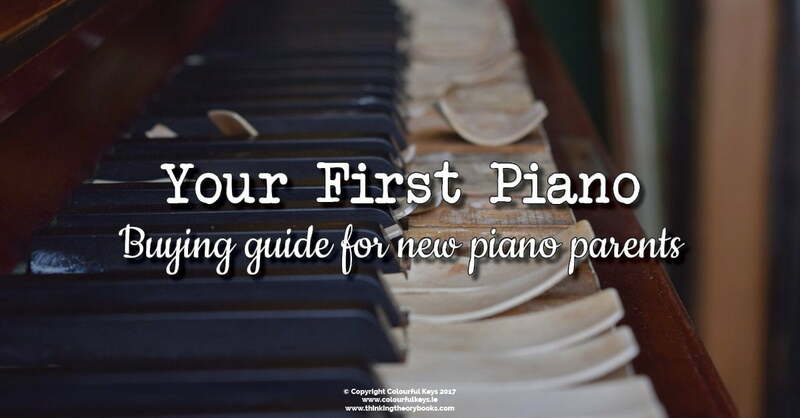 When you’re buying your child’s first piano or keyboard, don’t forget about the bench! Many people think they can simply use a dining room chair. While that might be sort of ok for an adult, it’s far from an ideal for a child. If you’re buying a piano or keyboard from a store ask them if they will throw in an adjustable bench. 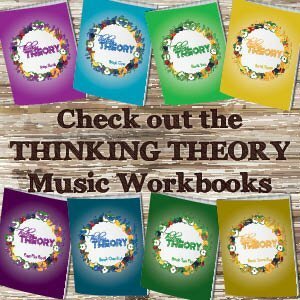 If you need to source one yourself, I recommend these ones from Thomann as a simple and budget-friendly option. 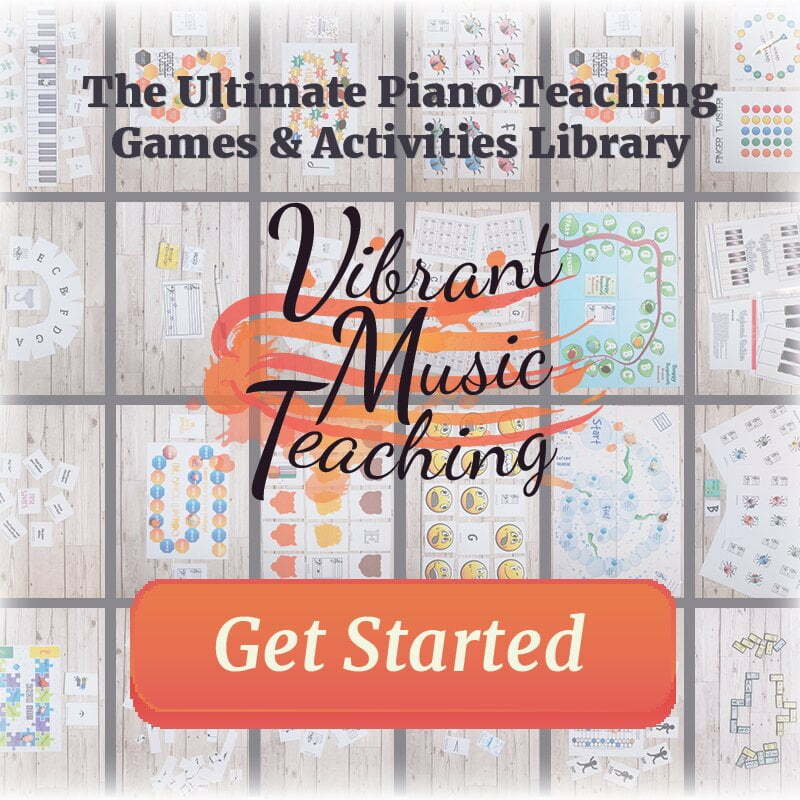 I hope this make some of the terminology in the different types of keyboards clear and helps you to make a decision on your first instrument.